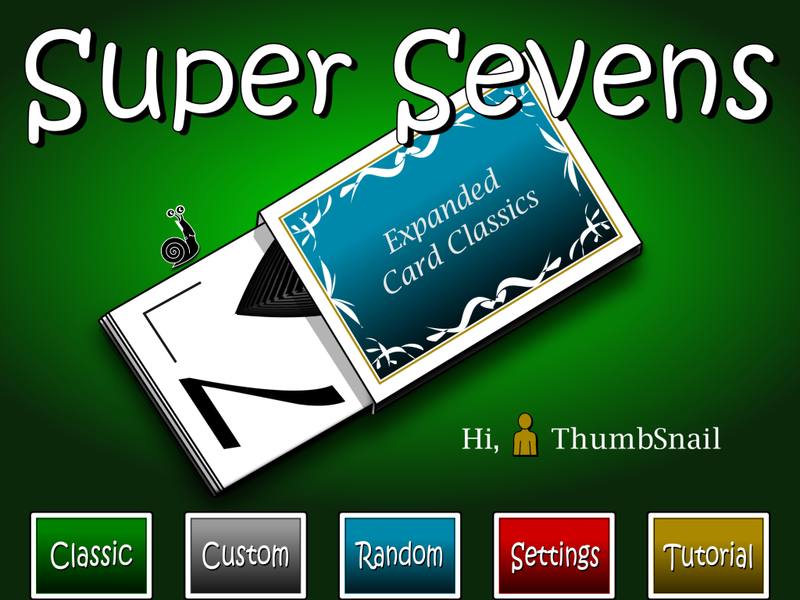 Not bound to just 52 cards, Super Sevens is the classic card game Sevens with a twist. Construct your deck with up to 10 different colorful suits. Play with ace through king or all the way up to 19. 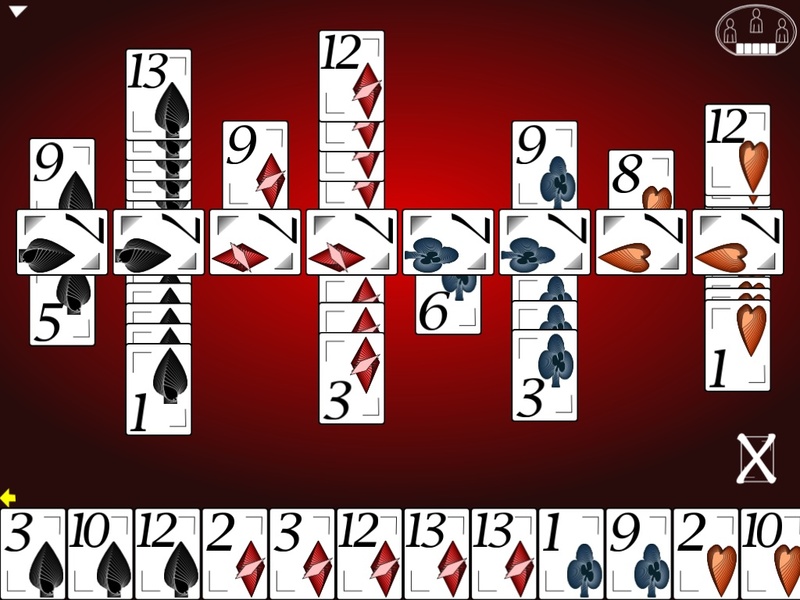 Go wild and crazy with 190 cards split among up to 10 players, or go light and precise with a small deck divided between a few. The choice is yours, and the choices are many! Fun for all ages. Not just ace through king but all the way to 19. -Classic: The fun and simple standard 52-card, 4-suit game. Play up or down the 7 of a suit. If you can’t play, then pass your turn. Be the first to play all of your cards! 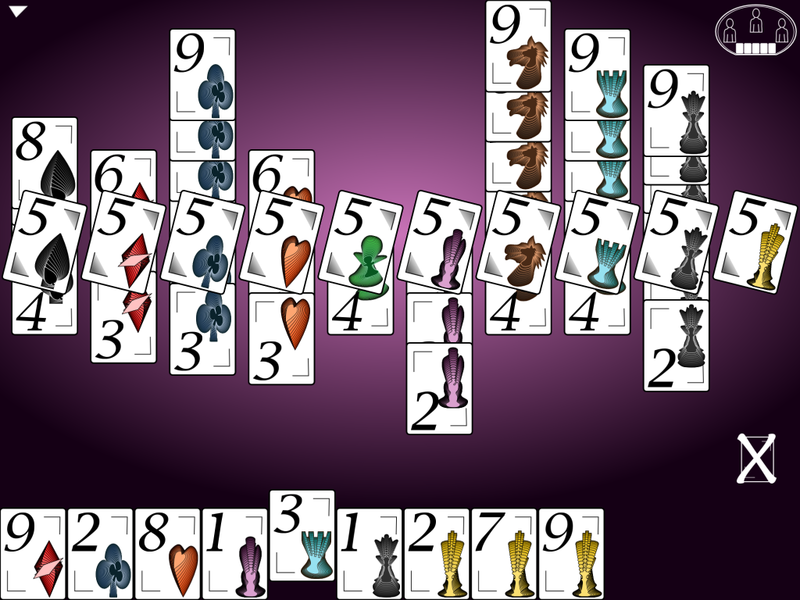 -Custom: Want to play a game of Sevens with 8 suits? Go for it. Want to play a game of Fives with 10 suits? Go for it. You choose the number of suits (2 – 10), the midpoint of the suit (2 – 10), and the number of players (2 – 10). Up to 10 different, colorful suits. -Random: Can’t decide which game to play? Input a range and let chance pick for you. You might just discover your new favorite game type! 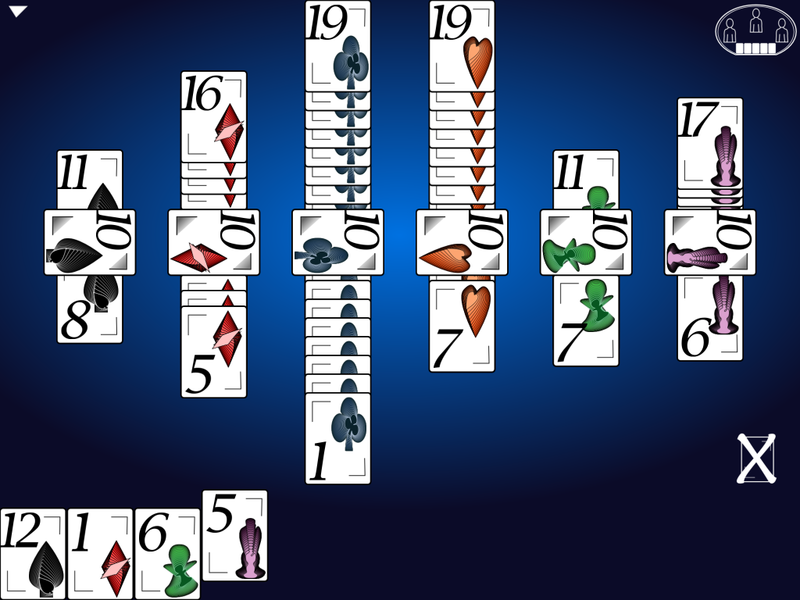 -Double Deck: Have you mastered Sevens? 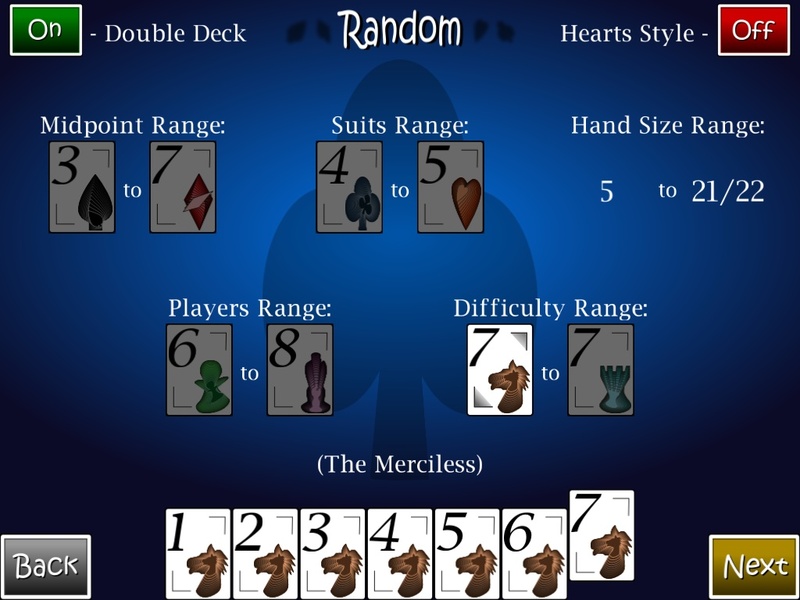 Take on a different strategy by playing with two decks of up to 5 different suits. -Hearts-Style: A combination of Sevens and Hearts. Start the game by trading a few cards with the other players. Every turn you can’t play, you’re given a “pass point”. As your pass points amass, will you bust over the limit? 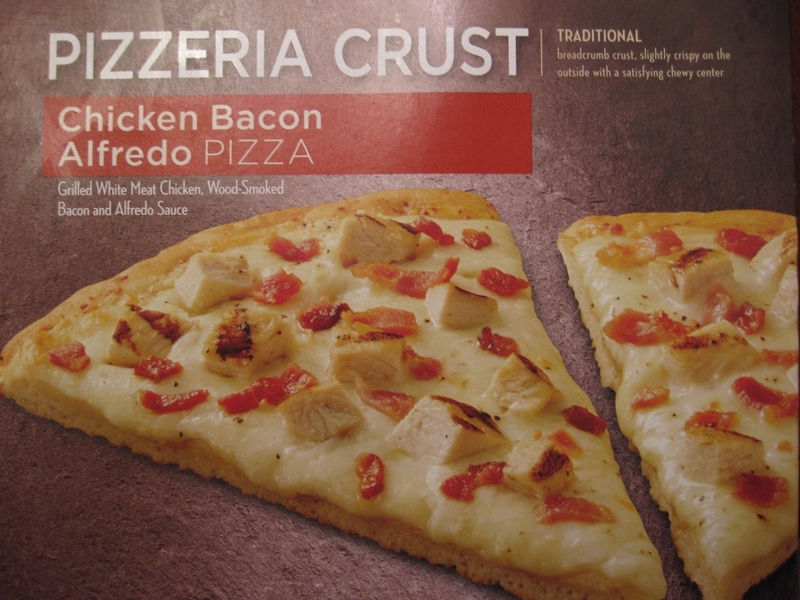 Or can you outlast your opponents for another round? 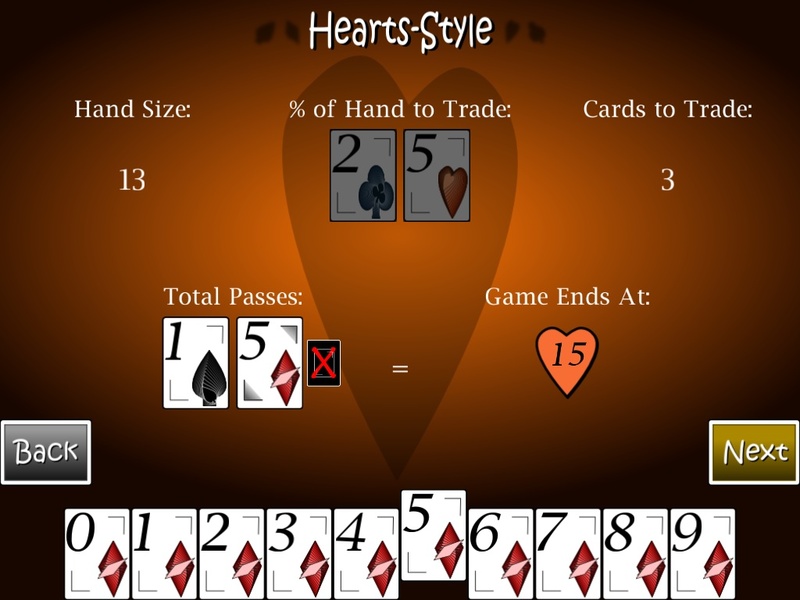 -Double Deck Hearts-Style: The ultimate challenge! Use a double deck for an even greater challenge! All of them play with a different style, each offering a different degree of challenge. However, none of them know your cards, so if you lose, it’s not to a cheating, vindictive computer! Can you take down The Merciless in Hearts mode? -“Pass and Play”: Don’t have a deck of cards? Cards fly all over the place when you shuffle? Share your mobile device and play “Pass and Play” style against your friends and family in the same room or in the back seat of a car. Just switch the Robot players to Humans. 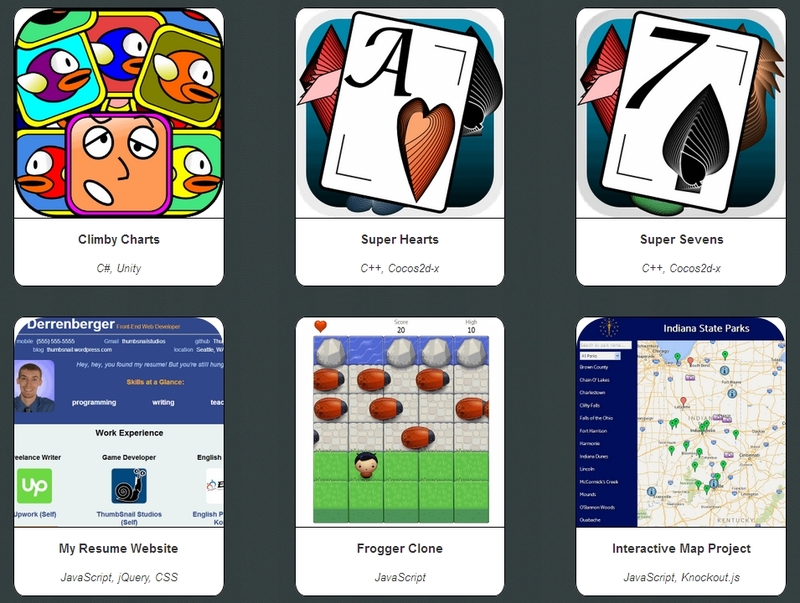 -Customizable settings: Choose the speed at which you play cards and scroll through them. Set the transition speed for menus and screens. Pick one of many vibrant background colors for your table. The choice is yours, and the choices are many!